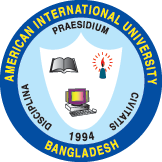 On 17th February 2016, IEEE AIUB Student Branch in association with Teach for Bangladesh, organized a seminar titled “Building your Career through Leadership Development” at Room # 266, Faculty of Engineering Building, American International University-Bangladesh (AIUB). The event was hosted in an attempt to engage and enlighten the +60 participants, regarding the significance of valuable non-technical leadership and managerial skills, that can aid them in their professional careers. Prof. Dr. A. B. M. Siddique Hossain, Dean, Faculty of Engineering, AIUB & Advisor of IEEE AIUB Student Branch inaugurated the event with the opening speech; motivating the participants and informing them of the importance of leadership in any field of work. After this, Mr. Osman Dhali Tusher, Fellowship Recruitment & Selection Associate, Teach for Bangladesh began the seminar. Mr. Tusher opened up a dialogue with the participants, raising important questions such as what fundamental traits attributed to the making of a leader. He further built upon this with thought-provoking videos and hypothetical scenarios, allowing the audience to grasp the true meaning of the word leadership with regards to empathy, respect and being a visionary. Following him, was Mr. Arnob Kumar Saha, Fellowship Recruitment & Selection Associate, Teach for Bangladesh, who carried the seminar forward through an elaborate media presentation. Mr. Saha focussed on the technical aspects of leadership, tying the word to the engineering profession and one’s transformation to a professional life. Explaining the differences between a “manager” and a “leader”, Mr. Saha stressed on the different technical and non-technical skills that separated the two. Alongside a plethora of interactive Q/A sessions, open discussions and a case study, the program was further accompanied by a brief overview of the organization, Teach for Bangladesh and their prestigious Fellowship Program. The event concluded with the instructors being accredited with tokens of appreciation for their time and participation at the event, by Mr. Rinku Basak, Head of EEE Graduate Program & Assistant Professor, Faculty of Engineering, AIUB. Furthermore, the attending faculty members and the top 5 most active participants were presented bags of goodies and gifts, by the generous guests from Teach for Bangladesh. Following this, the floor was open to a collaborative networking session. The event was also graced by the presence of Mr. Shahriar Hasan, Lecturer, Faculty of Engineering, AIUB & Motivator of IEEE AIUB Student Branch, Ms. Shahreen Hassan, Lecturer, Faculty of Engineering, AIUB and Mr. Kazi Ahmed Asif Fuad, Lecturer, Faculty of Engineering; Advisor of IEEE IA-S AIUB SB Chapter.